February 6 – Gianni Infantino isn’t the only leading football administrator standing unchallenged for re-election. 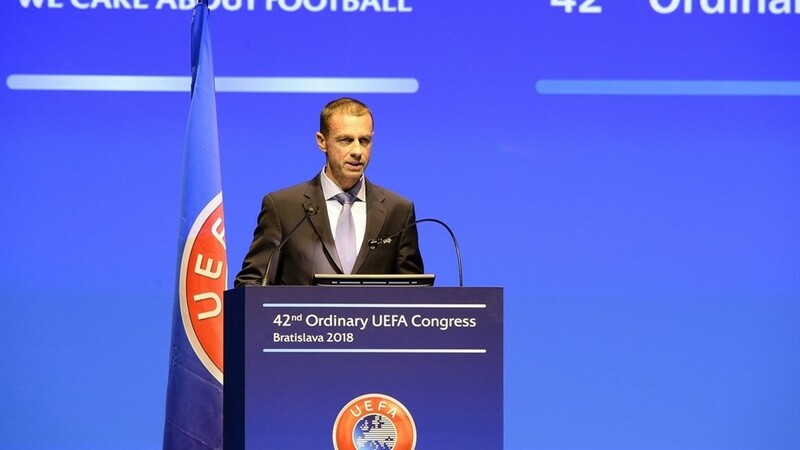 On Thursday in Rome, two and half years after becoming UEFA president in the wake of the scandal that brought down Michel Platini, Aleksander Ceferin will be voted in for new four-year term at UEFA’s annual Congress. Ceferin has made something of a name for himself despite taking a far more low-key approach than his charismatic predecessor. In fact when he came to power by trouncing Dutch veteran Michael van Praag in 2016, many observers, not least among the western media, responded “Aleksander Who” but the 51-year-old Slovenian lawyer has proved a canny operator trying to steer a path between the demands of the haves and have-nots in European football. It has not been an easy process. Ceferin has had to constantly fend off talk of a European Super League as he bangs the drum for “competitive balance”, one of his oft-used catch phrases. Salary caps and squad limits have been among his suggestions for bringing this about. He also came under criticism from Turkey and their supporters over the process by which they were crushed by Germany in the race to stage the 2024 Euro finals. But in general he has refrained from playing politics and managed to please most of the people most of the time – not least with the advent of the new Nations League competition about which many were initially highly sceptical but which has proved a huge success. Whilst for the most part coming across as a discreet diplomat, Ceferin has not been afraid to speak his mind over issues he feels could compromise his members. Top of that list is FIFA president Gianni Infantino’s plans to introduce a 24-team Club World Cup courtesy of a still largely secret investment consortium willing to stump up $25 billion over 12 years in return for 49% ownership of the competition. Clearly referring to Infantino’s plans to change the international footballing landscape, Ceferin told a Council of European Union Sports Minister last May: “I cannot accept that some people who are blinded by the pursuit of profit are considering to sell the soul of football tournaments to nebulous private funds. Such concerns about a radical departure from the status quo has only the heightened the intrigue as whether, with Infantino likely to be sitting a few yards away, Ceferin will address the controversial proposals in his address to delegates. Most likely it will all be very cordial but privately, it could be anything but.